The Citi Golf wasn't South Africa's longest lasting car. Not even close. 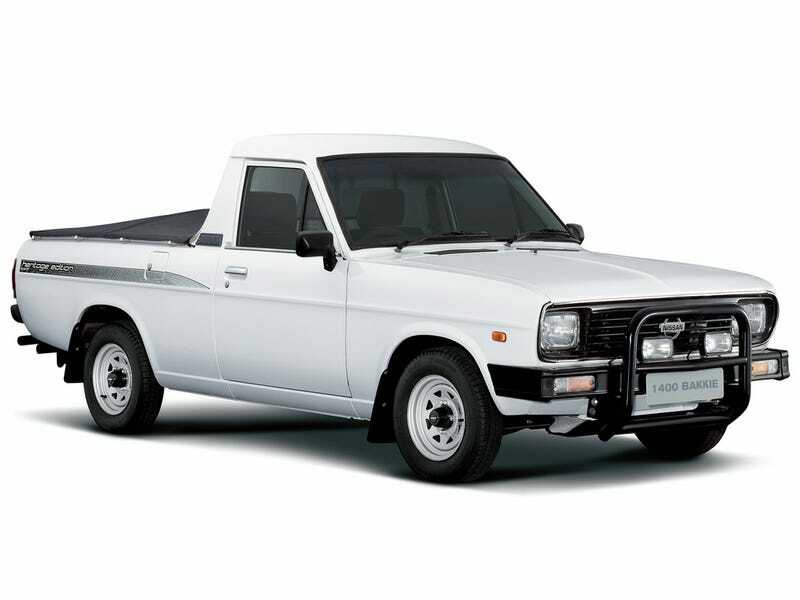 This is the Nissan 1400 Champ Bakkie. It was based off the 1971 Datsun Sunny. Want to know how long it lasted? 10 years? 20 years? 30 years? Nope. It was sold until 2007. And unlike the Citi or other heinously long lasting cars like the Lada, Hindustan, or 70 Series, not many actual changes were made. They just, forgot to stop making it. For 36 years. That’s like if the Dodge St. Regis, a car launched in 1979, was still being made today almost completely unchanged. Absolutely bonkers. It was replaced by the Dacia Logan based NP200, which, even though it was essentially a 10 year old Clio II with the back lopped off, must have felt like the Starship Enterprise compared to the Champ.